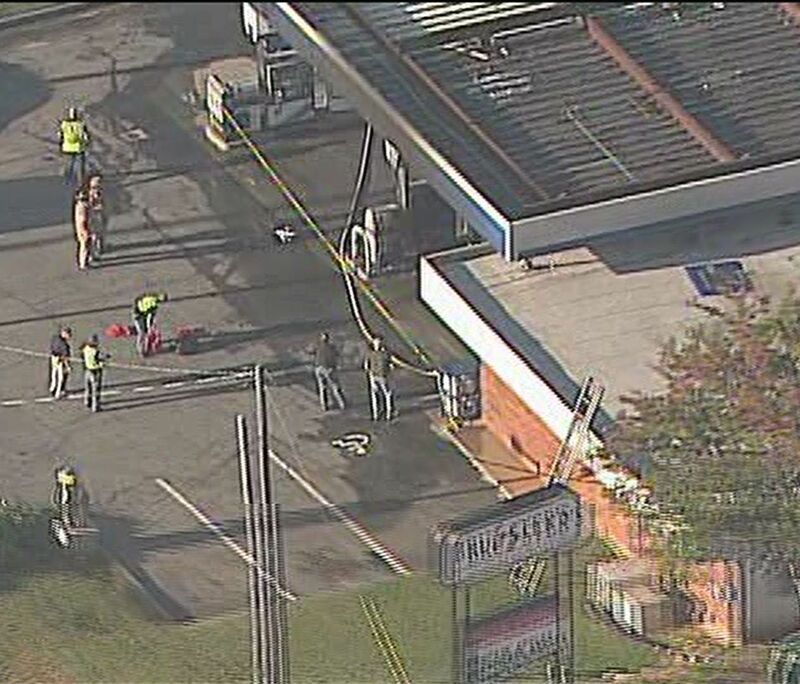 MARIETTA, Ga. -- A man was airlifted to a local hospital after catching fire at a gas station. The incident took place just after 8 a.m. Thursday morning at the Chevron off of Trickum Road. Surveillance footage shows the fire began towards the back of the motorcycle, near the exhaust pipe. 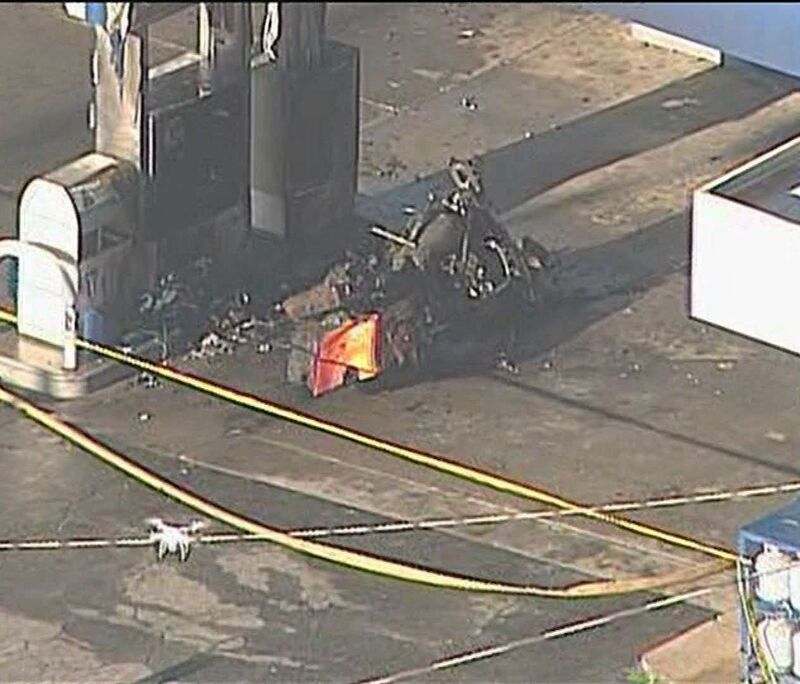 Moments before the fire, the video shows the motorcyclist walking out of the store and over to the pump. He starts to pump fuel. 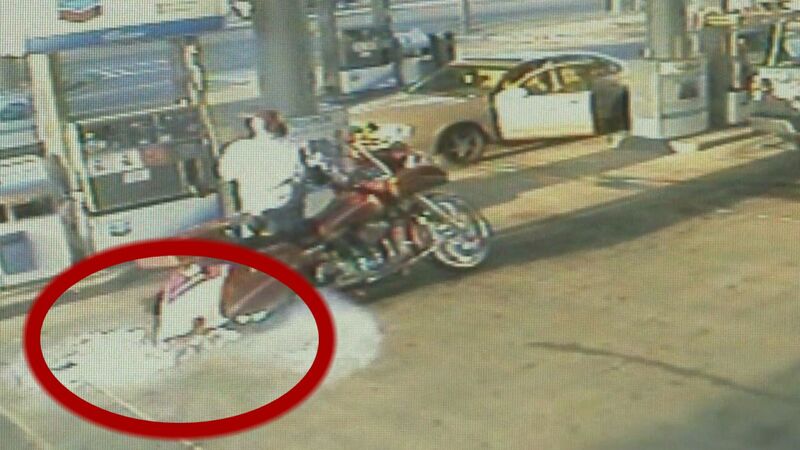 After about two minutes, what looks like gasoline is dripping down the motorcycle. The rider doesn't seem to notice. Then it starts quickly, the screen dims trying to adjust to the sudden bright explosion of fire coming from beneath the motorcycle. The fire spreads and quickly catches the rider on fire as well. "He left the bike running and was fueling it and it overflowed and he happened to be standing between the bike and the pump where the fuel ran so he was standing in the middle of where the fire ignited," one official said. The man falls to the ground and starts rolling. That's when a good Samaritan dashes in from the right side of the screen to help him along with another out of view. The two bystanders actually tackled the man, brought him out of the flames, smothered them with their coats and took him to the grass. The biker was airlifted to Grady Hospital and one of the bystanders who helped him also received burns to his hands. He was transported to Cobb hospital for treatment of his burns. The other fast-acting person is epxected to be OK and refused medical treatment at the scene. Police told 11Alive that based on the video, they believe the biker left his motorcycle running while he filled up his tank and said this situation was a reminder of just how dangerous that can be. 11Alive News has a crew at the scene. 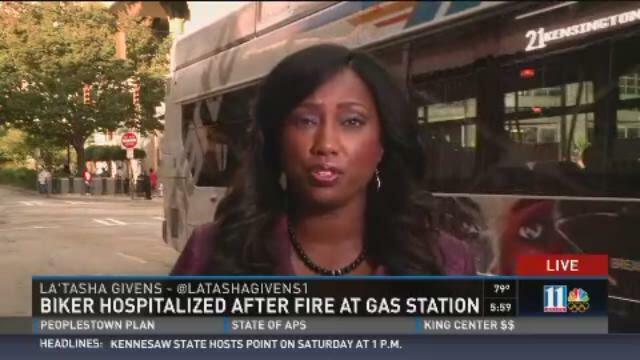 Check back to 11Alive.com for new details within the hour.